Doris Alma Overstreet Fallen, age 80, of Drakes Branch, Virginia passed away on Thursday, December 28, 2017 at Centra Lynchburg General Hospital surrounded by her family. Doris was born in Charlotte County, Virginia on December 24, 1937, daughter of the late Zola Gibson Overstreet and John Thomas Overstreet. She was preceded in death by her brother, John Washington Overstreet. She was the wife of Dewey Paige Fallen. In addition to her husband, she is survived by two sons, Donald Fallen and wife Brenda, of Hampton, and David Fallen of Drakes Branch; sisters, Christine Compton of Lynchburg and Joyce Guthrie of Lynchburg; brothers, Morris Overstreet and wife Dorothy of Phenix, and Roger Overstreet and wife Anna of Midlothian. 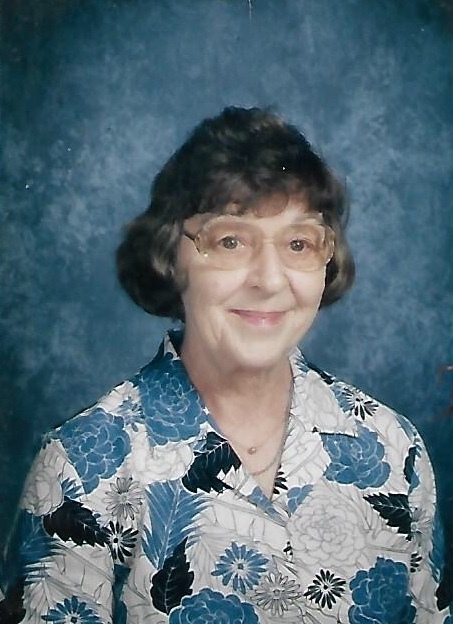 Doris retired from the Charlotte County Sheriff’s Department after serving as a dispatcher for many years and also enjoyed substitute teaching in the Charlotte County school system. A member of Bethel Baptist Church, she also loved the broadcast ministry of Thomas Road Baptist Church. A funeral service will be held Wednesday, January 3, 2018 at 10:00AM at the Amelia County Veterans’ Center in Amelia, Virginia. Memorial contributions may be made to the Centra Alan B. Pearson Cancer Center. Browning Duffer Funeral Home, Keysville, Virginia is serving the family. An online condolence may be sent by visiting browningduffer.com. Sorry to read about the passing of Doris. We send our deepest sympathy and love. I am so sad- losing a parent is the worst pain. Doris was such a sweet lady. Thinking of you all. Sympathy to Her Husband, Sons,Brothers and Sisters. My condolences to Dewey, Donald and David. Growing up in Drakes Branch, and spending so much time with Donald and David, Doris (and Dewy) both played an instrumental part of my early life. Every day during elementary school, I would walk to their house, often get served breakfast, and then join Donald and David on our walk to school. Seems like everyday and mostly every weekend I spent time at Doris and Dewey’s. They were second parents to me, often transporting me to ballgames, local events and various school functions. I miss those early days and will forever be grateful to the extreme care Doris provided to me, and my brother Cliff during our early years. Donald, David and Dewey, I love you and am sorry for your loss. Rest In Peace Doris…. Prayers for your family at this difficult time. May God give you peace and comfort. Dewey and family, so sorry to hear about the death of your loved one. May the peace of God comfort and bless you in the coming days. Dewey, Donald, David and all of the Fallen & Overstreet Family. My Love & Prayers are with you all at this time and the days ahead. God truly has a special Angel. Doris and I were Best Friends growing up. I Margaret(Trent) stayed at Doris (Overstreet) home more than my own, We attended Bethel Baptist Church together, I considered Doris as a sister I Loved Doris we would go to the spring to get water as children. May you all find comfort in all of Doris’ wonderful Loving memories as wife, mother, daughter, sister, aunt, cousin, friend to all that Loved and knew her. Donald,David,and Dewey I am so sorry for your loss. Doris and i worked together long enough to know that heaven has another angel. My thoughts and prayers are with you all at this difficult time. So sorry for your loss. Prayers and blessings to all family and friends. My condolence and prayers to the family.